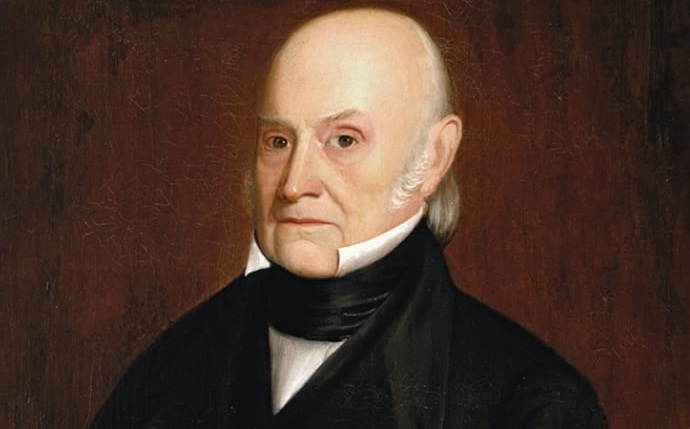 John Quincy Adams:- John Quincy Adams (July 11, 1767 – February 23, 1848) was an American statesman who served as the sixth president of the United States from 1825 to 1829. He served as the eighth United States secretary of state immediately before becoming president. During his long diplomatic and political career, Adams also served as an ambassador and represented Massachusetts as a United States Senator and as a member of the United States House of Representatives. Born in Braintree, Massachusetts, Adams spent much of his youth in Europe, where his father served as a diplomat. After returning to the United States, Adams established a successful legal practice in Boston. In 1794, President George Washington appointed Adams as the U.S. ambassador to the Netherlands, and Adams would serve in high-ranking diplomatic posts until 1801, when Thomas Jefferson took office as president.